Fire damage is a horrible and life changing experience and we will be out to help as soon as we hear the call, you can count on us 24 hours a day 7 days a week. Our goal is to respond to any fire or flood emergency 1 hour from the time we receive the call. Whether it's a house or large commercial loss, G.C.M. inc. has the equipment and expertise necessary to do the job, and do it right. We will secure the property, prevent any further damage where possible, and help our customers through the restoration process. We have a full service construction department that can fully restore your property. 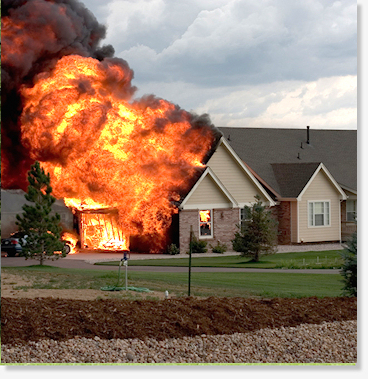 We have expertise in restoring residential and commercial structures after a partial or total fire or flood loss. Be assured we will take the hassle from your mind. 24-7 EMERGENCY BOARD UP! !